Saul was a Greek-speaking Benjamite Jew, the son of a Pharisee (Acts 23:6), who was born a Roman citizen in Tarsus, an important city in Asia Minor. 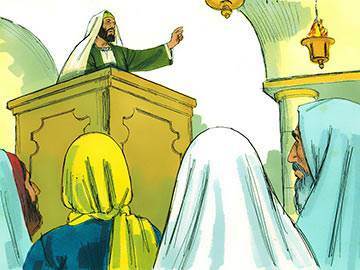 He came to Jerusalem to be taught by Gamaliel, an eminent rabbi who was a prominent Pharisee and a member of the Sanhedrin. Saul proved to be an apt pupil, becoming a strict Pharisee who was intent on keeping the many requirements of the Law (Phil. 3:6). As a young man, he witnessed the death of the first Christian martyr, Stephen, which caused him to see the faith as a serious threat to the Jewish religion. Against the restraints of his conscience, Saul became a zealous persecutor of the Church, pursuing the believers even beyond the borders of Palestine. What made Saul react in such a negative way to the preaching and witness of the early Christians? The basic reason was—fear. It is this which lies at the root of most wrong reactions. But fear of what? What do you think? Armed with letters of authority from the Sanhedrin to the Jews in Damascus to extend his ardent persecution of the Christians there (Acts 22:5), Saul was nearing the city when he was stopped in his tracks by the appearance of the risen Christ. 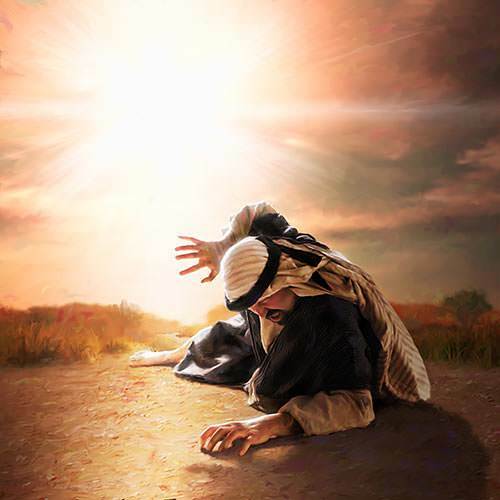 Though Saul was physically blinded by the mysterious light which surrounded him, his spiritual eyes were now opened to the truth which he had been fighting so hard—namely, that Jesus Christ was the Son of God and the Saviour of the world. After three days of prayer and fasting, Saul’s sight is restored when a local disciple, Ananias, comes and lays hands upon him in obedience to a vision. 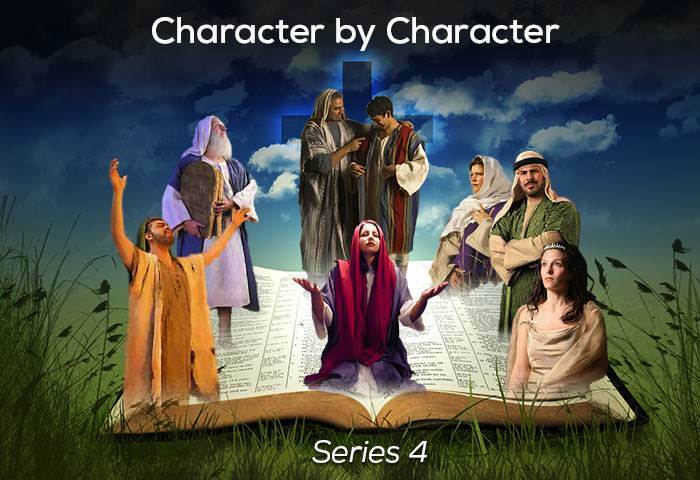 Saul immediately begins to preach the new truth he has discovered, and finds himself being persecuted for the very reason for which he has persecuted others. 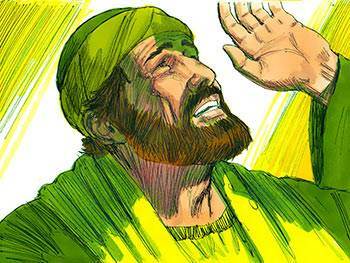 Saul, later called Paul, has been described as the “greatest Christian of all time”. No other man, save Jesus of Nazareth, has left such an impression on history. Paul’s conversion has been described by the critics as ‘an hallucination’ or ‘a mild form of insanity’. Well, it’s a strange kind of insanity that produces a man who has done more to make people truly sane than any other man! Although Saul’s Jewish background and training gave him a distinct edge in preaching the Gospel to the Jews, the Lord called and commissioned him to be an apostle to the Gentiles (Acts 26:17-18). 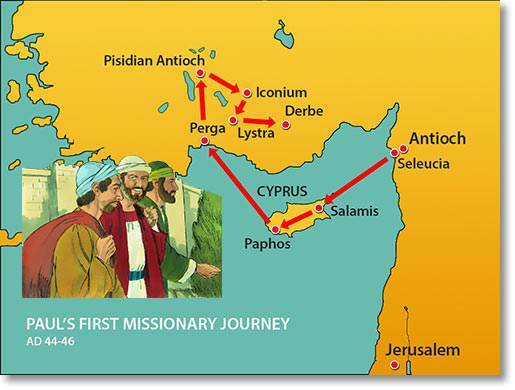 His first task was to become a pioneer missionary to the Gentiles living in the countries on the northern and eastern coasts of the Mediterranean. He travelled thousands of miles by land and sea, was constantly in danger, experienced shipwreck on three separate occasions and endured great hardship and persecution (2 Cor. 11:23-25). 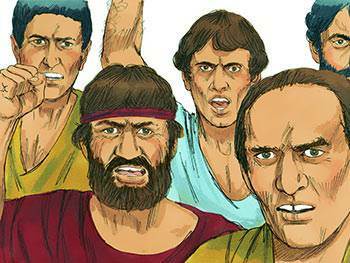 He travelled with a variety of companions, among whom were Barnabas, John Mark, Silas, Luke and Timothy. He was, without doubt, the world’s greatest missionary. Our own conversions may not have been so dramatic as Paul’s and yet think about it: weren’t we equally ignorant of God and determined to follow our own ways? Do you thank Him for calling you to be His chosen instrument? Paul’s preaching and the many miracles which accompanied his ministry brought severe persecution from both Jews and Gentiles. Early in his Christian life, he had been smuggled out of Damascus to escape the murderous hatred of the Jews there. Later, at Lystra, he was stoned and left for dead by Jews who had pursued him from Antioch and Iconium. 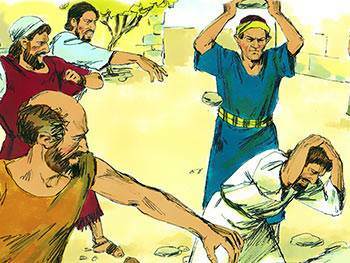 He also records in 2 Corinthians 11:24 that he was flogged five times by the Jewish authorities. 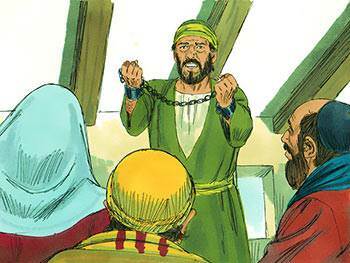 The Gentiles also reacted violently when, as in the case of Demetrius at Ephesus (Acts 19:24) and the owners of the slave girl at Philippi (Acts 16:16), his words and actions directly affected their livelihoods. 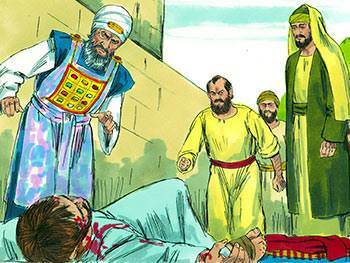 Saul the persecutor becomes Paul the persecuted. Yet he was as determined to continue in the face of persecution as he was to cause it. Paul—as he was now called—was certainly not half-hearted about anything. A good trait—don’t you agree? 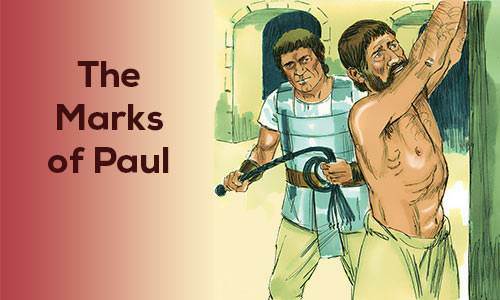 Paul was evidently a powerful preacher who proclaimed the Gospel of Christ wherever he went. 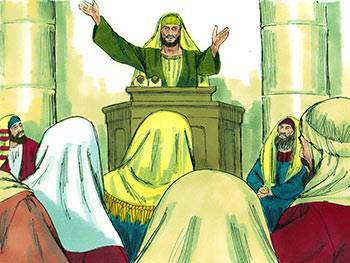 On one occasion, he is recorded as preaching all night (Acts 20:7-12). 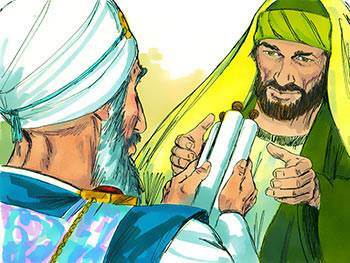 His general practice, when visiting a city, was to preach first to the Jews and then to the Gentiles. In most places, he was compelled to turn to the Gentiles because the Jews rejected his message. One welcome exception was at Berea, where the Jews eagerly listened to what he had to say, and examined the Scriptures to see if they confirmed his statements. When convinced of the truth of his arguments, many of them believed the Gospel. As a result of Paul’s preaching, many new churches were founded, and the Gentiles became a significant part of the Church which, in its formative years, had been exclusively Jewish. Have you ever come across a definition of preaching? Well, here’s one by Dr. W.E. Sangster which many preachers like: “Preaching is the manifestation of the Living Word, through the written Word, and by the spoken word.” Like it? We do! 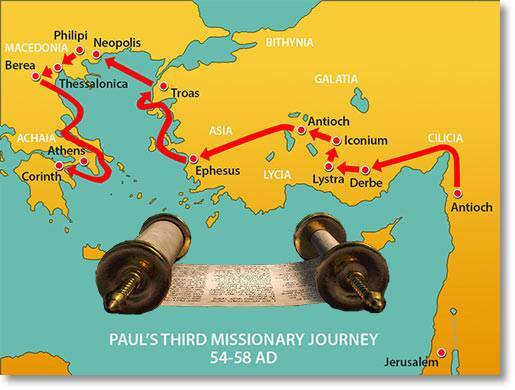 Paul was a pioneer missionary whose ambition was not to build on another man’s foundation, but to preach the Gospel in places where it had never been heard before (Rom. 15:20-21). He founded churches in Asia Minor and Greece. 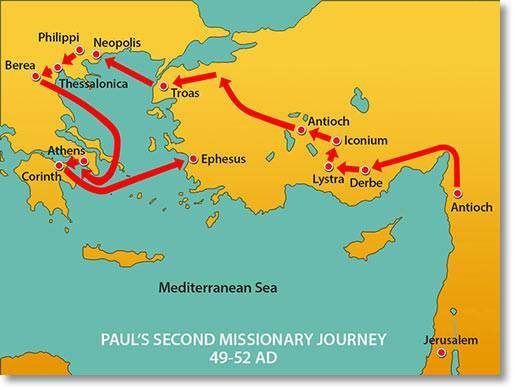 Paul was a master strategist when it came to church planting, selecting some of the major cities and sea ports as his targets. He took advantage of his Roman citizenship during his travels and, whenever possible, revisited his newly-planted churches to help them become firmly established. Paul had a great love for his converts, and writes about his continual concern for their spiritual well-being (2 Cor. 11:28-29). Many of his letters were written to these churches, later becoming part of the canon of Scripture. Not too many people are involved these days in the ministry of church-planting. Those who are, need our special prayers. Why not spend a few moments in prayer right now for someone you know who is involved in this ministry? Paul was imprisoned at Caesarea for two years under Felix, who sent for him often to talk with him, hoping that Paul would offer him a bribe to secure his release (Acts 24:26-27). 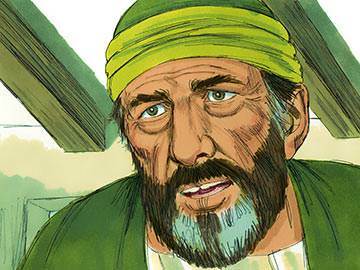 When Felix was succeeded by Festus, the new governor called Paul before him and asked whether he would go to Jerusalem and have the charges brought against him by the Jews heard there. Paul responded to this by stating that he would exercise his right as a Roman citizen to appeal to Caesar to obtain the justice which was denied him in the provincial court. Later, after his arrival in Rome, Paul spends a further two years under house arrest, but continues to preach and teach without hindrance (Acts 28:31). 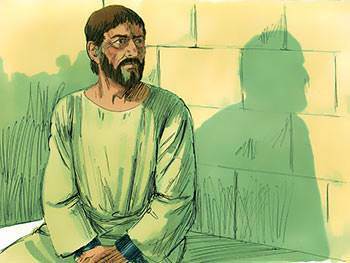 Although Paul was often found in prison, he never regarded himself as a prisoner of Rome, but a ‘prisoner of Jesus Christ’ (Eph. 3:1). Rome could bind his body with chains, but nothing could bind his spirit. Remember this the next time you feel ‘imprisoned’ by your circumstances. Out of the many wonderful lessons that we can draw from the life and character of the apostle Paul, the most important is that of whole-hearted commitment. There was nothing half-hearted about the great apostle. His commitment to Christ was so total and complete that someone said of him: “No other individual Christian has made such an impact upon history, or upon the thinking of the world.” How does your commitment to Christ measure up against that of this unique and amazing man?